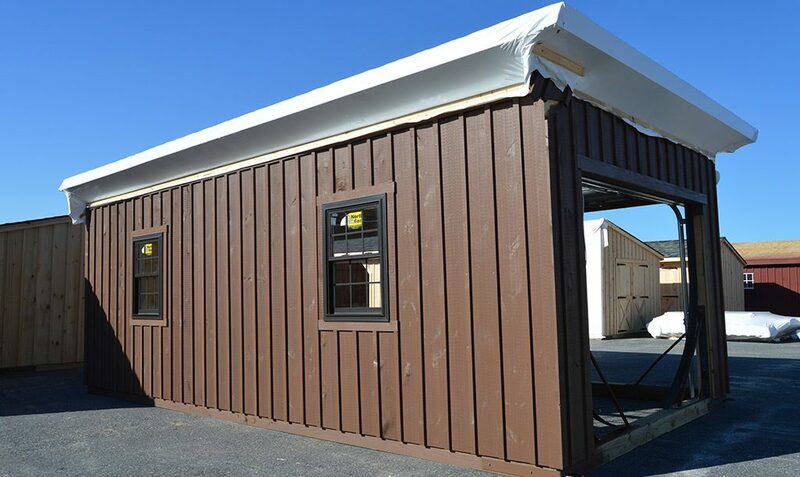 This 24×22 double-wide garage has 8′ high ceiling with stairs to loft above. 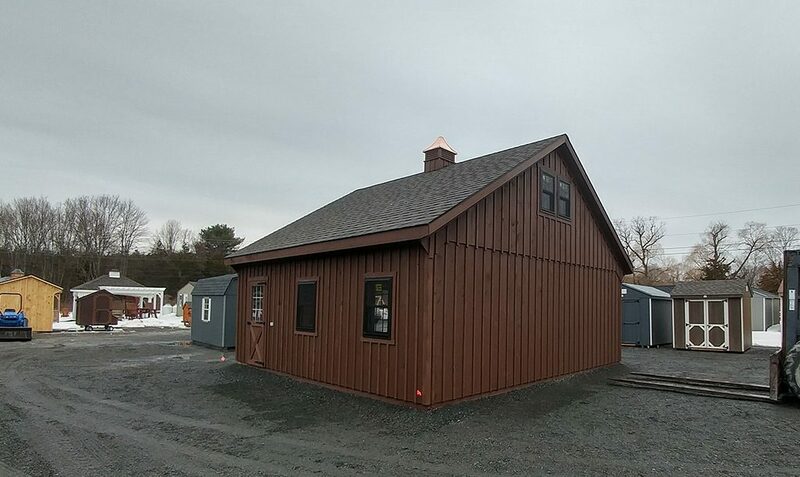 This Red Hook, NY garage was built with white pine board and batten siding stained with mushroom stain by Haley Paint Company. 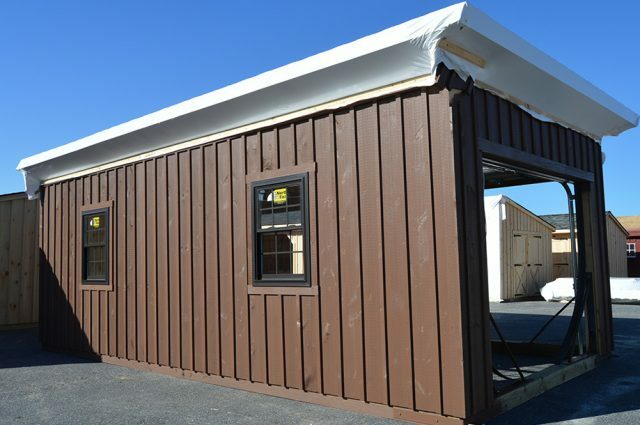 It has 8 pitch rafters and architectural shingle roof with BP Everest 42 (Fossil Wood Color) shingles. The installed windows are Andersen Silverline double-hung vinyl windows with screens. The garage doors are 9×8 insulated Homestead overhead garage doors with windows by General Doors Corporation. It also has a wood entry door with 9 lite window built by J&N Structures. 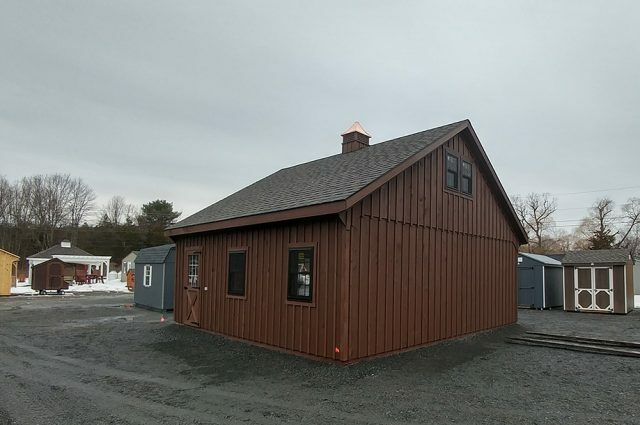 To top off this garage, we added a B-24 cupola by Creative Cupolas. This Modular double-wide garage holds 2 cars. It has a full loft with a clear-span loft floor. The roof was built to handle 55 lbs. of snow load. The double-wide was designed for quick on-site setup.